We visit Plates, a restaurant in Hoxton serving a plant-based menu with vegan wines to match. 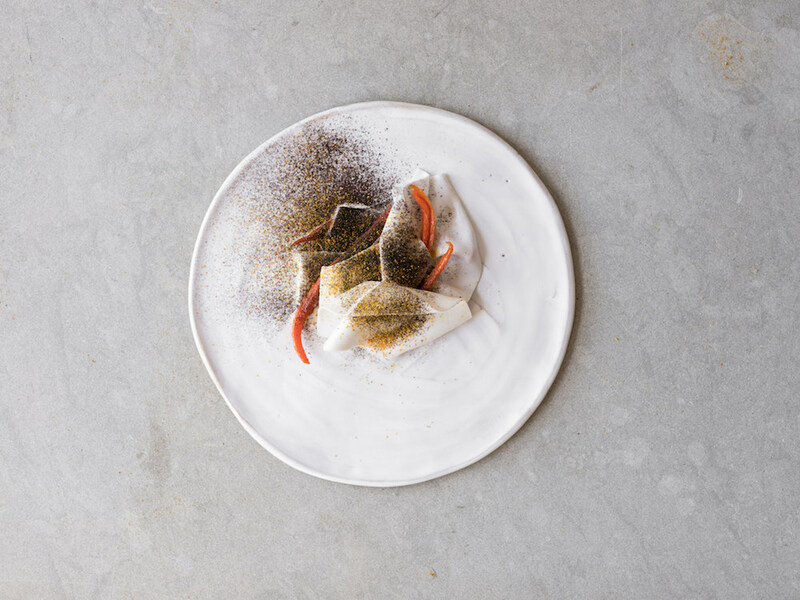 Plates is a restaurant concept created by siblings Keeley and Kirk Haworth. I use the word ‘concept’ as it doesn’t operate like a regular restaurant. 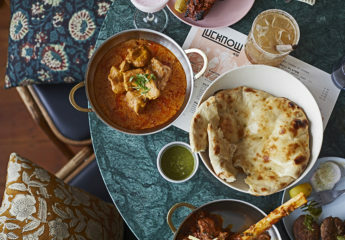 It’s only open once a week, on a Saturday evening, on the top floor of a building just off a busy road in Hoxton. It’s also a plant-based restaurant, with all the food and wine being vegan. During the week, the space is used for private events and collaborations with companies and brands. And what a pretty space it is: light, natural colours and materials, green plants and foliage, with a statement piece of art on the back wall to liven up the room. 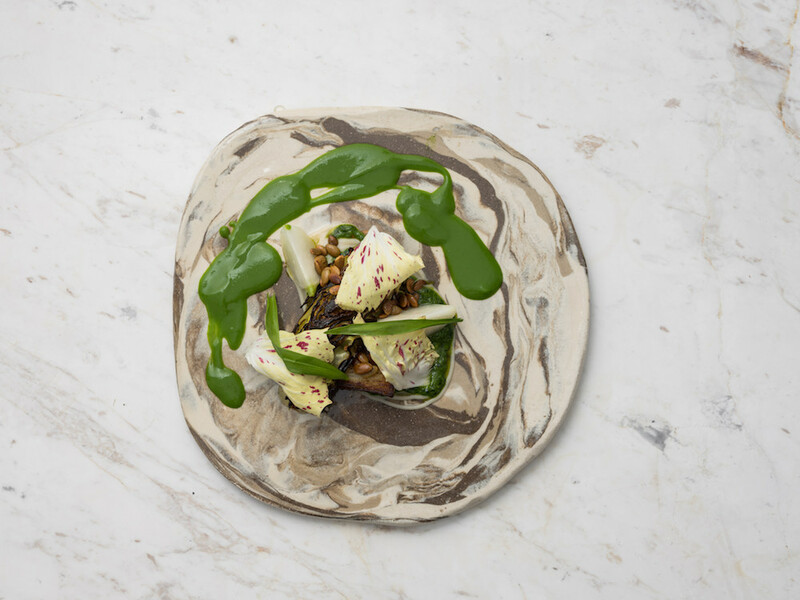 The plates are also beautiful, designed exclusively for the restaurant, and are works of art in themselves. 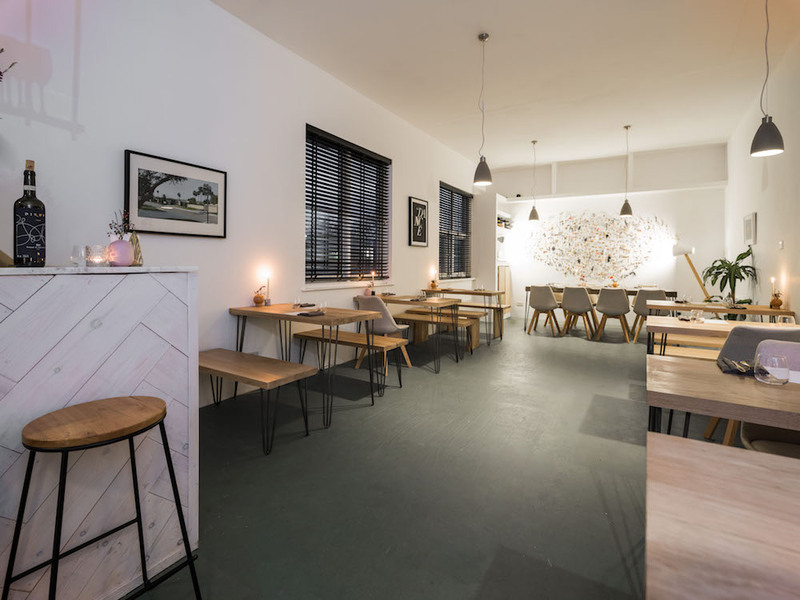 The restaurant was created as a result of the chef having to adapt his own diet to a plant-based diet after being diagnosed with Lyme disease. 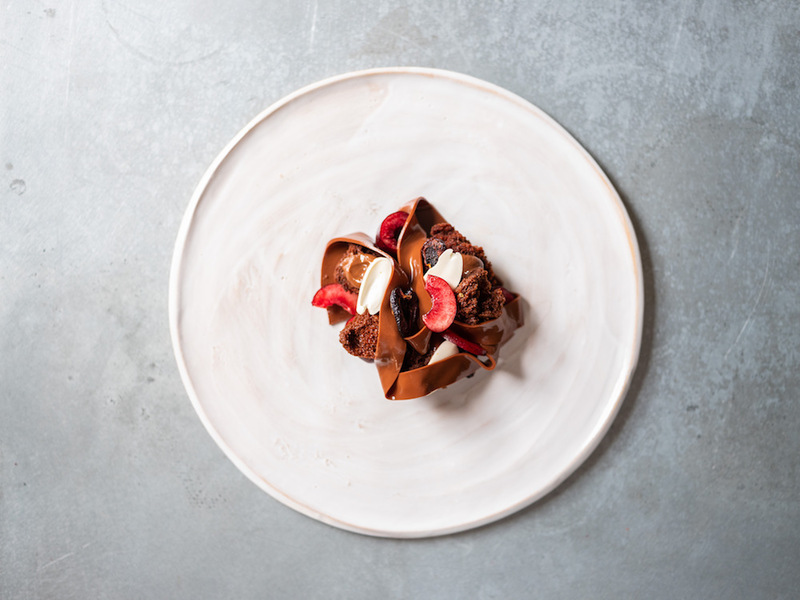 Restaurants and hospitality runs in the family – their father is Nigel Haworth from Michelin starred Northcote hotel and restaurant in Lancashire. 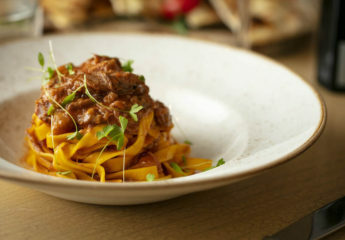 Plates offers a five-course set menu, all focused around natural, healthy ingredients. On my visit, dishes included a delicate dish of young leeks, land cress and green grapes; a deeply satisfying pot roast hispi cabbage, crispy potato, butterbean, summer truffle (pictured above); and an excellent dessert of textures of cherry, cocao, fresh almond (pictured below). But first, make sure you try the exquisite bread. Who knew gluten free bread could taste so good? 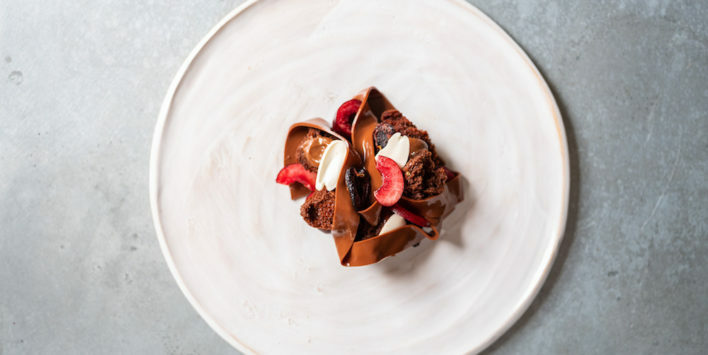 Whether you’re vegan or just want to experience something a little different on the London dining scene, Plates is certainly worth a visit. Bookings for Plates are £40 and can be purchased through their website. 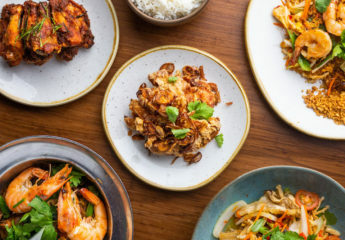 If you enjoyed this review of Plates London, read some of our other latest reviews including Serge Et Le Phoque, Cora Pearl in Covent Garden or The Ninth in Fitzrovia.